One would think that, if Paul did not care to be bothered, he would have a secretary to take care his fan mail. Perhaps an elderly widow in need of income to pay the rent and put food on the table. She would sit at a desk from nine until six. Except, of course, for tea breaks. She would have pre-printed notes that read, “Paul is very busy these days with travelling and performances. Nevertheless, he is dedicated to his fans and he asked me to take care of his correspondence for a time. Thank you for your request. Enclosed is a signed photograph with Paul’s compliments.” A name would appear at the bottom: “Gertrude Simmons.” Of course her true name would be other than Gertrude Simmons. But, alas, there was no note from a Gertrude Simmons. It was only a few years ago that I came to realize that Paul and I are related. In many ways it was coincidental. I was born in Pittsburgh, two years after my mother married my father, also a Joseph Fleckenstein. Mother was born in Ireland at a time before Ireland was an independent country. Both the Brits and the Irish laid claim to her. When she came to America she came on a British passport that said she was “a subject of the king.” Yet, the Irish said she was born in Ireland and, undoubtedly, an Irish citizen. I won’t belabor the point. Because of mother, in the American way of speaking, one could say I am “half” Irish. Yet, I consider myself 100% American. (It was for that reason, I joined the Army to fight for America.) So, if I am 100% there would be 0% for anything else. Not true? Granted, it would be fair to say at least half of my heritage is Irish. Mother came to America, alone, when she was 19, much as the Irish girl in the movie Brooklyn. Mother had two uncles who were already living in Pittsburgh. Initially she stayed with one uncle, Frank Martin, and his wife. Unfortunately, Frank died a year later and mother was obliged to find other accommodations. The second uncle, Henry Martin, was a confirmed bachelor. Uncle Henry, as we called him, had fought in the British Army in the First World War. It was in France where he whiffed some mustard gas the Germans sent his way. As a result, his left arm hung limp by his side. Uncle Henry was not one to forgive and forget. He decided he did not care to mix with the people who, in the past, were trying their best to do him in. Because of our German family name he placed father in the category with his former enemy. Uncle Henry would visit mother only when father was at work. He did not care to mix with people he considered to be German. It was true that father’s heritage was German, but he certainly was not “German.” Father was born in the ethnic German section of the North Side of Pittsburgh. In the same neighborhood where H.J. Heinz started jarring pickles and ketchup. True, also, father spoke only German until the age of 13. That was because German was the language in the school, the church and the neighborhood. But when the First World War started, the schools promptly switched to English and the church started having a Sunday sermon in English. After I joined the Army, I was sent to France to stand at the gate. In a letter mother sent to me she suggested that after I had accumulated leave time I might enjoy a visit to the relatives in County Monaghan, Ireland. She suggested I write to her brother Peter. I waited for the trees to bud and mailed a letter to Uncle Peter. He answered promptly, saying he and his wife, Roisin, would be delighted to have me visit them. I flew over that July and stayed two weeks. Uncle Peter took off from work and spent the days showing me around. I was enthralled by the different, friendly and easy-going Irish ways. It was another world. One Saturday Uncle Peter took me to a Gaelic game. Gaelic is the national sport and a loose combination of soccer and rugby. A rugged sport. As cousin Macartin explained, it’s “unlike that sissy English sport, soccer.” Only men were at the game; there was not a woman in sight. Musicians playing bagpipes added a festive air to the occasion. Before entering the stadium most men would first urinate against the facade of the structure. Not unlike foxes marking a territory. Only men attended the Gaelic Games. Photo by Joseph Fleckenstein. 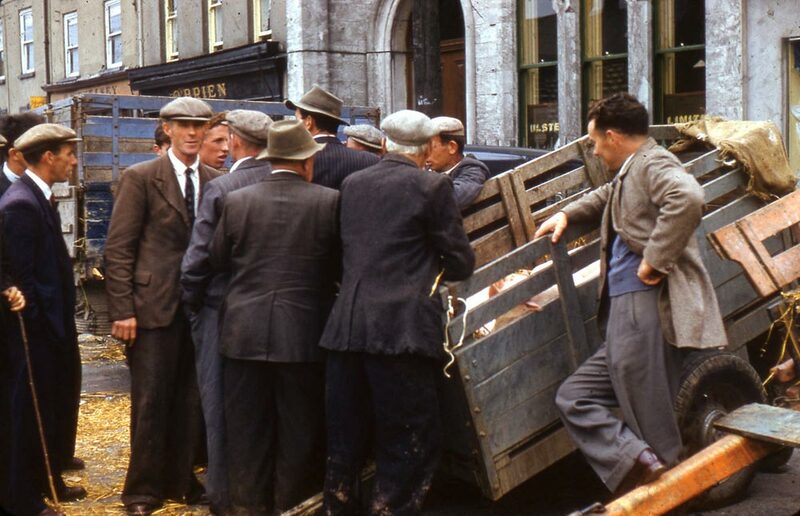 The day of the livestock auction Peter took me to the town square at Carrickmacross. That was where the selling and buying took place. I guessed the sellers were mostly farmers and the buyers butchers. Peter knew everyone. “Come over here,” he whispered to me. I followed him to where two men were dickering over the price of a hog that was in a cart between them. In all, there were about eight men gathered around the cart. Six others were nearby watching with anticipation. Finally the seller and a buyer agreed on a price. All eight promptly went to the nearest pub for a round or two, allowing the hog and wagon to wait in the marketplace. Haggling over the price of a hog. Photo by Joseph Fleckenstein. A number of days Peter took me around to meet our “friends.” (In Irish dialect, a “friend” is a relative.) They all appeared to be younger than Americans of the same age. There were fewer wrinkles and fewer gray hairs. That was puzzling. Perhaps it was the high and pervasive humidity or the easy-going life style. One day Uncle Peter and I were in a bar having fish and chips for lunch. The chips were served automatically with a raw egg on top. It was assumed that anyone who ordered fish and chips would want a raw egg on top. While eating I could not avoid hearing two old timers talking at the next table. One, it seemed, had worked in a local garage in his younger days. “Oh, you worked with Sean, the red head? Isn’t he the one who shot the black and tan?” The second man replied, “Oh, yeah. He said the man came nosing around one day. He told me he quietly raised the kitchen window a little and let him have it. The body is buried up in the orchard, still wearing the uniform and all.” No doubt the shooting took place during the Irish uprising many years earlier. Patty Corrigan, Aged Irish freedom fighter. Photo by Joseph Fleckenstein. Mother often spoke of the “troubled times.” The “troubles” started when the Brits were occupied with the Germans in the fields of France during the First World War. While many Irishmen were fighting and dying for the British Empire, a goodly number were fighting against the Empire. The rebels figured it was as good a time as any to start an uprising against their English overlords. The Irish had been waiting for an opportunity for over 300 years. Eventually the struggle led to Ireland’s independence but not before extensive conflict. According to mother, one morning she and her sisters were going to school. It was during the troubled times. She spotted a large pool of blood on the road. Since she was the eldest, she ran back to the cottage to tell her mother. Her mother called the girls into the house and told them in unmistakable terms that if anyone asked “you did not see a thing.” Mother said she never learned more about the blood and she asked no questions. 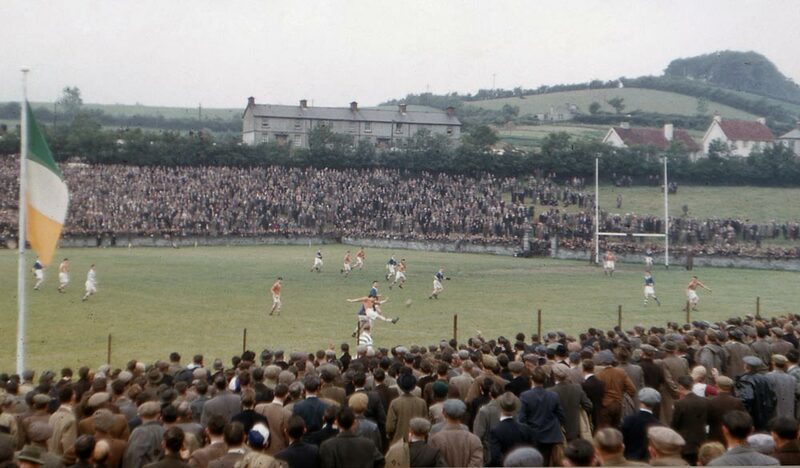 No doubt similar scenes were repeated many times across Ireland during those times. When Peter took me to visit friends I made notes as to whom, exactly, I had met. If for no other reason, I knew mother would be interested in hearing about my visits and people from her youth. Almost to a person, they greeted me warmly. Invariably, beer or tea was offered. They would ask about mother. “How’s your dear mother? God bless her,” I often heard. One of the relatives to whom Peter introduced me was an elderly lady by the name of Ellen Winters. 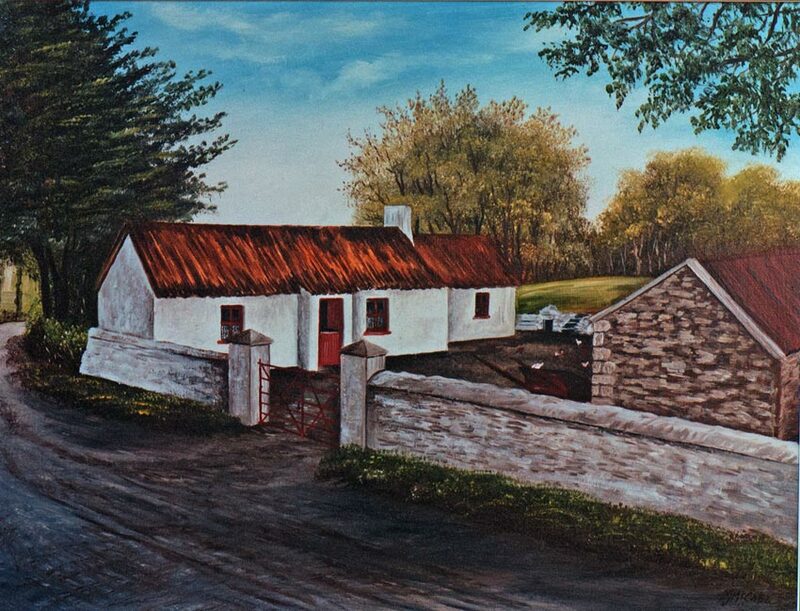 At the time Mrs. Winters lived alone and in a rented house near the Lisdoonan School. The location was a mere ten-minute walk from the cottage where my mother was born. A cottage with a dirt floor. A dirt floor that partly explained why the Irish longed for independence and better times. Mrs. Winters was a gracious woman, quiet and dignified. She told me she was born a Mohan and that she was the niece to my great-grandmother, Mary Mohan. Of course, she said, she remembered her aunt well. Mary Mohan was well known amongst the relationship in large part because she “ran away” to marry my great-grandfather. I suspected Mrs. Winters was a widow, but I chose not to ask. I did not know it at the time, but later I learned Ellen Winters was the sister to Paul McCartney’s grandfather, one Owen Mohan. I still have the piece of paper on which I made notes of my conversation with Mrs. Winters. Several years after my visit to Ireland, my Aunt Roisin wrote to me one Christmas, as was her custom, and she happened to mention an interesting rumor. It seemed one of our relatives expressed the opinion that we were related to Paul McCartney, the famous Beatle. She added that the thinking was that the connection was through my grandmother, Anne Martin, and her mother Mary Mohan. Grandmother Anne Martin was a sister to Henry Martin, the ex-British soldier who fought in the Irish Brigade. I was intrigued and I immediately set out to determine if there was, as rumored, a connection. After a number of inquiries, I was put in contact with a librarian in Monaghan City, which is in that part of Ulster over the border in Northern Ireland. The woman was very helpful and sent me a number of tax records. Those records proved to be the link. One of the tax records that I received was for a Michael Mohan who was my great-great-grandfather and likewise the great-great grandfather to Sir Paul. Mother often spoke of the man. She told me, “He always had money. They say he was in with the English.” True, or not? It was not possible to be certain, either then or today. 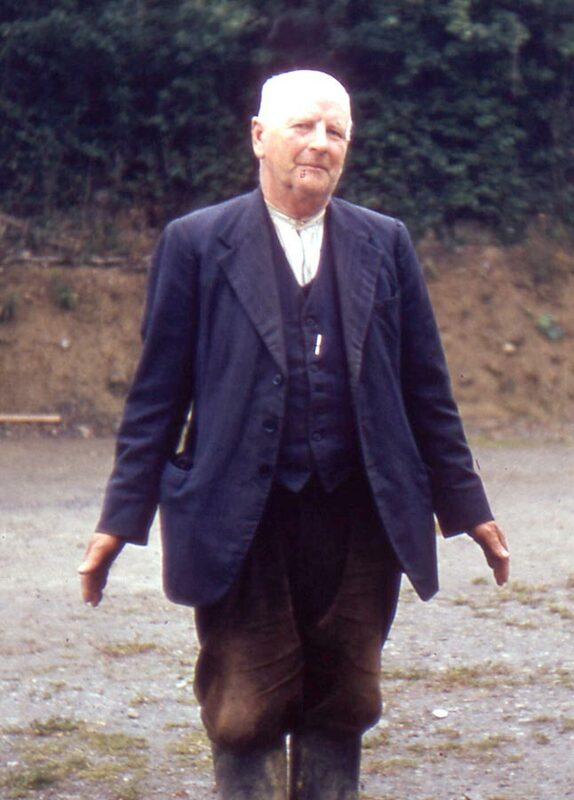 Nonetheless, it was true that there were ample informants amongst the Irish. Sadly, some did it for the money. Perhaps others did it because they truly thought that Irish independence was not a sound idea. In any event, the family tree I was able to draw from the various records showed that Paul McCartney and I are third cousins. I have been thinking lately! Perhaps it is time for a third letter to Sir Paul. It has been six years since the second and last letter. I will remind him again that he and I are third cousins and, if he is so inclined, a signed photo would be greatly appreciated. I will remind him, or Gertrude, that he and I are, as the Irish say, friends. I was thinking that perhaps I should remind him that, despite the name, I am not really German and certainly not the enemy. Also, perhaps I should remind him that I sent suitable postage with my last letter but have as yet to receive anything in return. I must give more thought to what I will say in the third letter. Since the first two failed to catch his attention, I should come up with something very different. Something eye catching. I’m thinking, I’m thinking. Joseph E. Fleckenstein, a graduate of Carnegie Mellon University, has published over 32 items. The list includes nonfiction articles in outdoor magazines, technical papers, online courses for professional engineers, a patent and more recently literary short stories in Prick of the Spindle, Story Shack, Out of the Gutter, Potluck, Down in the Dirt and Work Literary Magazine. His 400 page technical book Three Phase Electrical Power was published in October by CRC Press. Currently he lives in Pennsylvania where he is a self-employed engineer and freelance technical writer. Visit his website at WriterJEF.com. Featured image Paul McCartney by Dario Ferrini. CC license. The light and chafing tone of this essay was one of the things that delighted me. However, I detect a deeper aspect, having to do with identity. Can you speak a little to the issue of how finding your Irish connection might have changed your own sense of who you were? The first few paragraphs of my story have an edge that could be described as expressing resentment or disappointment. Nevertheless, it’s a pretention. When I wrote to Sir Paul I suspected there was only a slim chance that he would respond. Superstar entertainers live on a plane that is entirely different from the plane that I know. I cannot say I was disappointed, let alone angry, because there was no response to my letters. It was what I expected from the start. On the other hand, I mentioned in my letters to Paul that I had tea with his grand-aunt, a woman he no doubt never met. I also mentioned a rumor about our mutual great-great grandfather. If I were in his shoes, I would have been interested in receiving the information and perhaps appreciative. But, everyone does not think as I. In fact, few do. True too: How would he know my letters were not fraudulent. It would be incorrect to say that I found my Irish connection much as, say, a person finds a quarter that had slipped from his fingers into high grass. The quarter never slipped from my possession. I always knew I was connected to the Irish. My mother, an immigrant from Ireland, was there to remind me of that. Furthermore, it would have been difficult for me to ignore a connection to a country that claimed me as a citizen. Much as other Americans of Irish or German descent, I could never consider myself a hyphened American. No, that would not do. The interaction between place and situation is always of interest here at Streetlight. Can you say more about how being in Ireland affected your sense of things? The Irish do things their unique and sometimes charming ways. 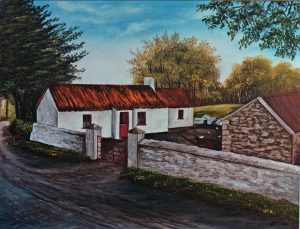 Because of this inclination, I found that Ireland offered up a wide variety of situations and customs that were both different and intriguing. The list is endless. Ireland is a beautiful and enchanting country. Have you written more on this particular subject? And if you haven’t, but were going to, what subjects would you look to? Cousin Paul is the only piece I wrote on the subjects of Paul McCartney or Ireland. I do not foresee that I will be writing any farther on either of these subjects. In recent years I enjoyed writing literary short stories and I have had modest successes in that genre. My topics have been developed mostly from subjects that pop into my head. I cannot generalize, but it seems many of the stories I published have a right-versus-wrong theme. Would it be correct to assume you are a fan of the Beetles and, more particularly, Paul McCartney? I believe Paul McCartney is a gifted artist who has delighted millions of people with his music. However, I have never been a fan of pop music of any type. I admire and respect Paul for his tremendous achievements, and I would be delighted to hang one of his signed photographs on my family room wall. So, in that regard you could say I am a fan of his. Truth be told, I am more into the works of Schubert, Chopin, Tchaikovsky and the like. A thoroughly enjoyable article! It brought back memories when I read the novel Trinity by Leon Uris. 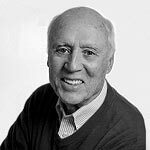 I learned a lot about Irish history then and Joseph Fleckenstein’s article renewed my interest.I do hope the he keeps trying to get in touch with his third cousin Paul McCartney and he will finally hear back.